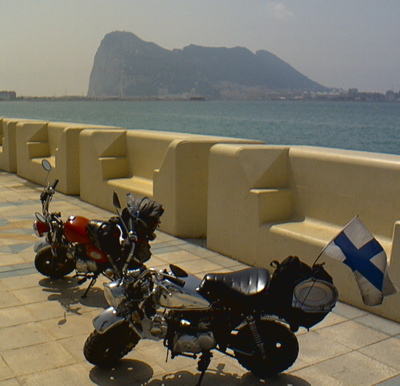 Summer holiday is now over, and as Tigert put it, we made it to Gibraltar. In addition to showing the beautiful European countryside from a worm’s eye perspective of a slow-moving and small vehicle, the trip was also an excellent field test for Midgard’s new positioning services, and for mobile blogging using the new Nokia N and E series phones. All in all, a very interesting trip.